A cocktail renaissance is sweeping across the country, spawning a new fascination with artisan ingredients and mixers. 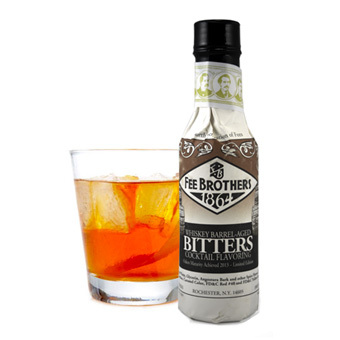 Rochester-based Fee Brothers, makers of aromatic bitters since 1863, provides cocktail enthusiasts with a line of flavored bitters designed to inspire! Barrel aging in whiskey barrels from America's best distillers introduces a new layer of woody complexity to Fee Brothers Whiskey Barrel-Aged Bitters. These limited-edition bitters are bottled only once a year, in the spring, and when they're gone, they're gone! 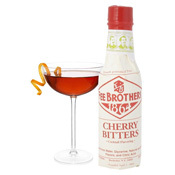 With a cinnamon pop similar to that of Red Hots candy, these bitters add depth and complexity to an array of classic cocktails. A family business since 1864, Rochester, New York based Fee Brothers is now owned and operated by Ellen and Joe Fee, the fourth generation. Furthering their family's legacy, Ellen and Joe manufacture close to 100 cocktail mixers, bitters and syrups designed to craft exceptional cocktails.